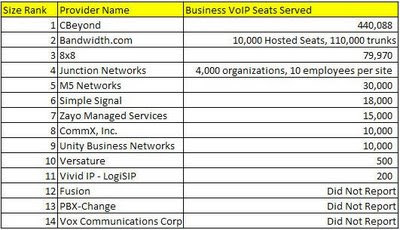 Ike Elliott has a survey on the state of the VOIP Providers. A few people, including me, tried to line up VoIP Providers to supply the info. Many did not. The results are here.